The Hindu report states the Indian soldiers chopped off the heads of three Pakistani soldiers to avenge the Pakistani troops beheading two Indian soldiers in its July 2011 raid. In the wake of the Indian Army's September 29, 2016 surgical strikes across the Line of Control to avenge the Uri terror attack, some Congress leaders repeatedly stated that the army had conducted such military operations during the Congress-led United Progressive Alliance government's tenure. 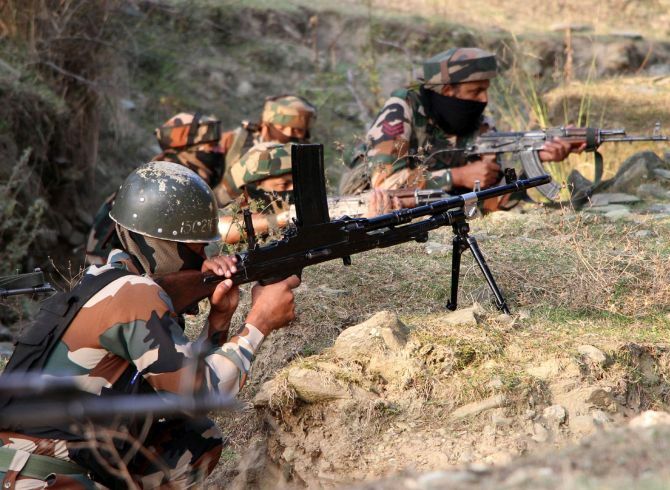 According to The Hindu, in a report published on Sunday, October 9, the Indian Army carried out surgical strikes across the LoC in August 2011 in retaliation for a surprise Pakistani attack on an army post in Kupwara in July 2011 that killed six Indian soldiers. According to The Hindu, the Indian Army planned Operation Ginger to avenge the Indian soldiers' deaths -- which turned out to be one of the deadliest cross-border raids carried out. Citing official documents, The Hindu reported that the Indian Army struck three Pakistani army posts on August 30, 2011. About 25 soldiers, mainly para-commandos, infiltrated deep inside Pakistani territory and placed claymore mines to ambush Pakistani soldiers. They detonated the mines after four Pakistani soldiers, led by a junior commissioned officer, reached the ambush site. Then they lobbed grenades and fired at them. The soldiers also kept an IED under one of the bodies. The report states that the Indian soldiers chopped off the heads of the other three dead soldiers -- to avenge the Pakistani troops beheading two Indian soldiers in its July raid. The Indians also took away their rank insignias, weapons and other personal items. The operation lasted 45 minutes. 13 Pakistani soldiers were killed. After the surgical strikes, what can we expect?